War! What is it good for? Well, it’s actually rather good as subject matter for video games, providing a stream of successful franchises based around humans killing each other en masse. Medal of Honour? Call of Duty? Battlefield? The list is almost longer than those brave souls that perished in reality, and one such series has been leading the real-time guise of war strategy since the mid nineties. 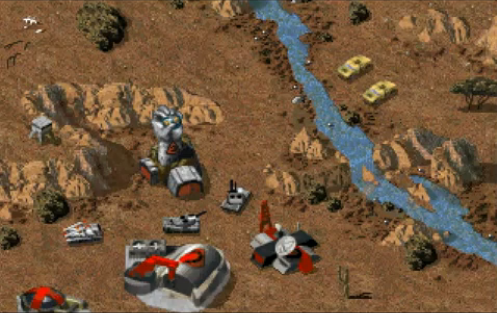 Command & Conquer gave the player the opportunity to act as a deity, gleefully participating in xenophobic genocide or righteous shielding from the comfort of the keyboard. The second C&C instalment saw a re-working of world history to engross the would-be general, and boy does it deliver on many fronts. 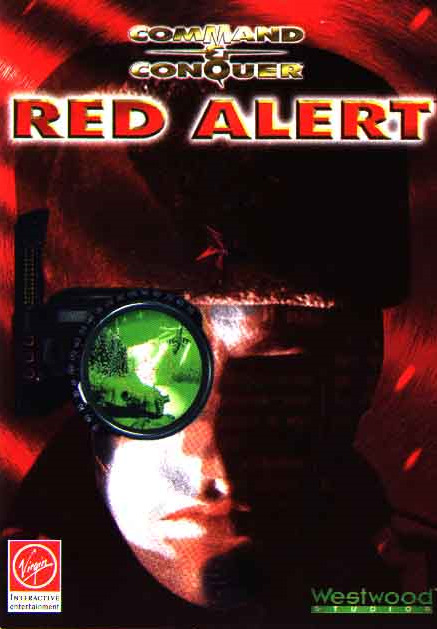 Red Alert’s popularity would make Electronic Arts take notice and buy the original developer, thus spawning many sequels. However, the time altering exploits and the long shelf life of this would make it a classic PC favourite. 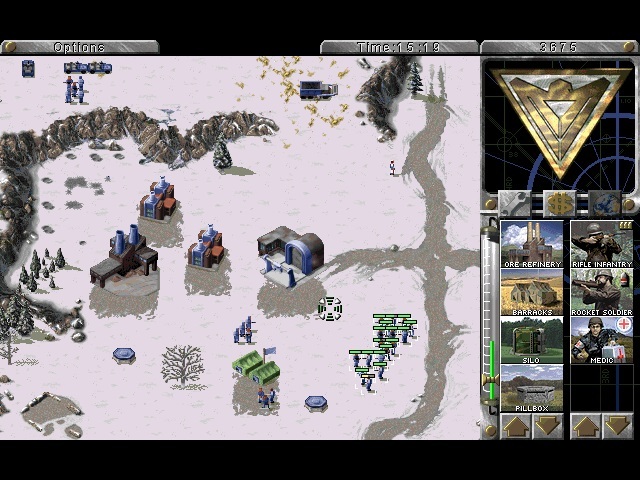 Real-time strategy titles were just becoming a recognised around the early nineties, and it was Westwood that spearheaded this. Previous effort Dune II could be accredited as the first fully-realised RTS, with the C&C series developing it even further. 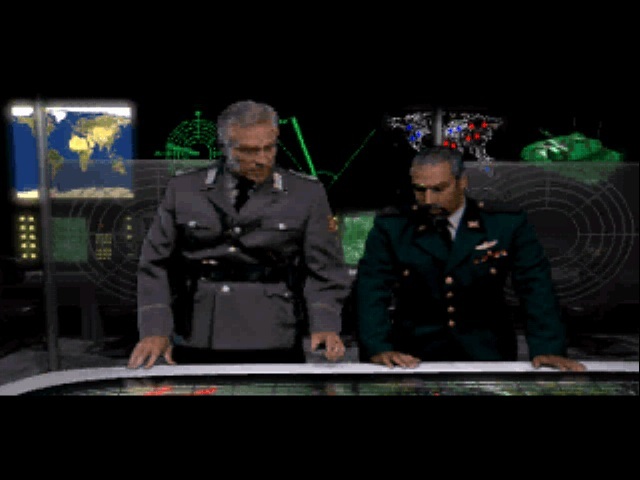 Red Alert stands out not only due to its intuitive interface, battle options and cinematic cut scenes, but also the somewhat controversial plot. In brief, a terrible imagining of what the Cold War could have became. It’s a story which snatches the attention, and even though a dash of leftfield sci-fi and a little hammy acting are thrown in to lighten the mood, it can feel very serious and thought-provoking. 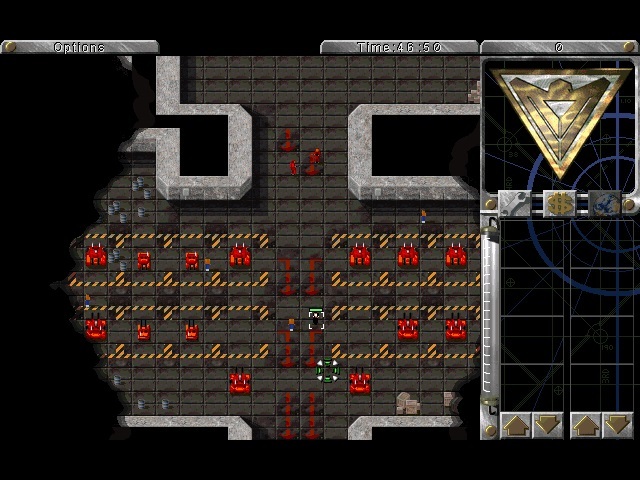 Originally conceived to be a prequel to the first game, RA took its own separate route away from the primary game plot, running like a parallel universe to the futuristic Tiberium theme of the other titles. So, with a fine, deep story to get your teeth into, it’s really how you wish to play. Murderous or heroic. Build/Destroy. It's like LEGO, only with less mess. Whichever side you wish to command, each has their own individual merits, strengths and weaknesses, all balanced expertly. Neither the Allies nor the Soviets can boast to have the upper hand in the battlefield; it’s purely how their powers are implemented by you, the player, that extend the gameplay beyond the set missions and the formality of mindless slaughter. Dictating these actions is an outright joy, even amidst the heat of heavy gunfire and intimidating explosions. The layout of the menu’s and units, positioning of troops and organization of resources all blend together seamlessly, making for a manageable, appealing and non-threatening experience. It’s exciting too, as once you have mastered the interface, you can forget about it and set about planning how to achieve your objectives, without a worry about how to build the next Ore Refinery or the next line of base defence. It happens all by reaction to the circumstances, and this becomes immersive and exhilarating, not only in the well judged learning slope of mission play, but in the efficient network/skirmish modes too, the latter making the horrors of war the most fun since Cannon Fodder. Another big facet is the unit grouping system, where keyboard shortcuts are placed to direct troops to a given point or behave in a chosen manner. This is very cool and extremely helpful to the cause. Unlike the aforesaid Sensible Software classic, this has no ‘shoot first, ask questions later’ mantra. Completing each mission has a prerequisite to be carefully premeditated and dealt with. Blindly blundering in with a horde of tanks or destroyers rarely ends in victory. The Soviet missions do require more mindless bombardment than the Allies objectives; a tap into your ruthless streak is needed here, whereas a more mindful approach is required for the ‘good guys’. Reflections of real warfare are quite pertinent with this frugal balance of styles. One has better air support and tech, the other better defensive and ground attacks, and so on. The weaponry equilibrium is applied with thought by Westwood. United with the user friendly control system, the rising mission intensity and of course the story played out in entertaining, if a little grainy and clichéd cinematics, it scores high marks as a playing experience, and I haven’t even mentioned the lustrous, camouflage coating of the visuals yet. Whilst the narrative clips are well performed, the battle animations are energetic but slightly unrealistic, not matching up well with the real action scenes. This is a minor point, but one worth mentioning. 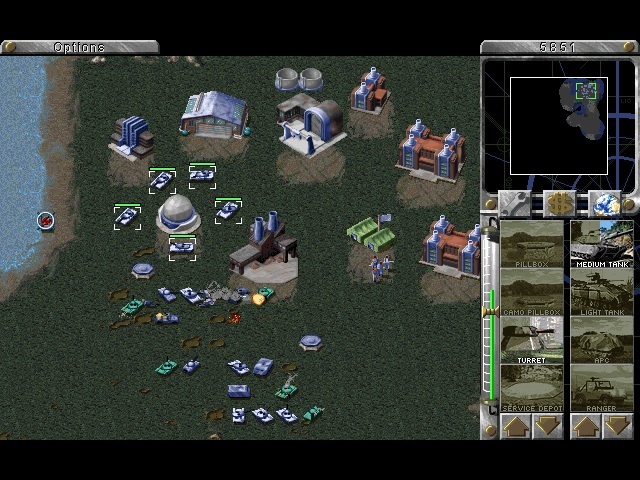 During the top-down view of gameplay we have an approachable, attractive but slightly sparse rendering of terrain, buildings and installations, all importantly recognisable and well animated. Colours can appear a little blasé; certain hue’s can clash, but all in all it’s distinctive and true. It’s smooth to scroll and gratifyingly sharp, adopting the usual war style industrial look which fits the bill to a tee. Some aspects could be better however; the accommodating radar map is decidedly vague at times, and individual troops can take on a samey, blocky form, making quick distinction tricky. Whilst the terrain can vary using seasonal effects with good texturing, it looks bland at times with wide gaps of nothing being the most disappointing aspect. Fine details are included though; like rivers, ridges, items and ore deposits, which do influence strategies in different scenarios. From the moment of loading, we are greeted with hard and loud noises of carnage, again seizing the attention instantly. The main theme ‘Hell March’ is awesome, dark and metal heavy. A very distinguishing piece indeed. The in-game voice over is discerningly robotic but transfixing, clear and authoritative with the sound of conflict permeating all the while. The backing music is mostly superfluous; but still has that essential metal/techno grind which belongs in the mood. 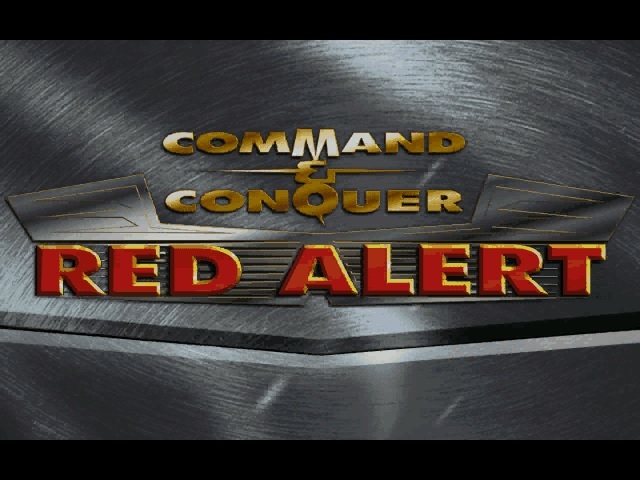 Command & Conquer: Red Alert is without a doubt an engrossing title, for reasons which rise above its speckled visuals and outward façade. As a gaming engine, it’s the supreme template of RTSs. Following titles and others in its wake have used this method, adapted and modified to fit the theme. With its clever but undemanding design, challenge level, multiple game modes and, as an added bonus, a fun map editor, it’s a game which any serious simulation fan should indulge. War is hell, but not when played out like this.